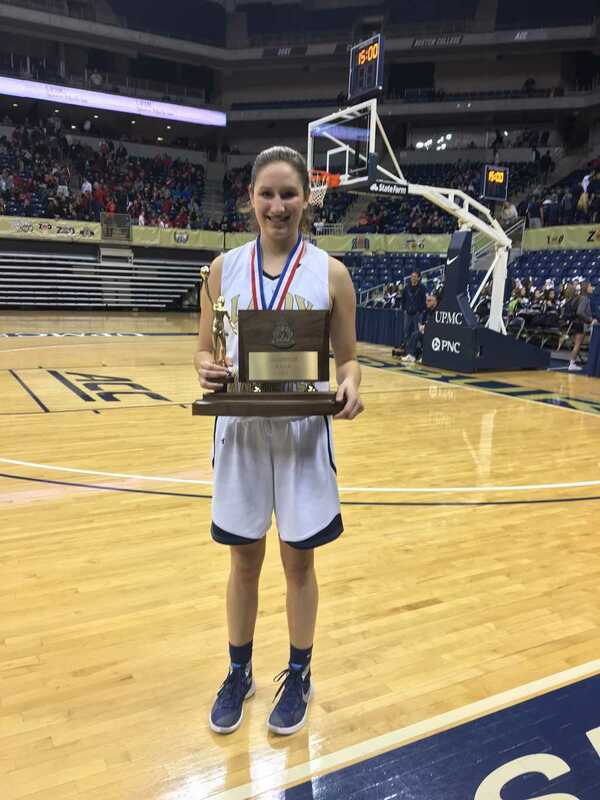 On Feb. 27, 2016, the undefeated Norwin High School Knights –– led by star junior Alayna Gribble –– trailed the North Allegheny Senior High School Tigers, 49-36, entering the fourth quarter of the WPIAL AAAA championship game at the Petersen Events Center. At 24-0, the reigning WPIAL champion Knights weren’t used to losing –– and Gribble made sure to keep it that way. The incoming Pitt recruit scored 11 of her 22 points in the fourth quarter as No. 1 Norwin came all the way back to force overtime. The Knights went on to defeat the No. 2 Tigers, 63-57, to defend the WPIAL crown. Gribble verbally committed December 2014 to play college ball at College of William and Mary. But once she led the Knights to the 2015 WPIAL AAAA championship, Gribble realized she sold herself short. According to the Pittsburgh Post-Gazette, Pitt actually came around thanks to a conversation between Norwin head coach Brian Brozeski and Upper St. Clair High School head coach Pete Serio at the 2015 Roundball Classic banquet. Serio’s wife is Pitt head coach Suzie McConnell-Serio. While Gribble didn’t reopen her recruitment entirely, she spoke with McConnell-Serio, visited Pitt and accepted a scholarship with the Panthers less than a week after the banquet. A 6-foot shooting guard, she is one of two incoming recruits in Pitt’s 2016 class, along with guard Jasmine Whitney. Gribble is ranked the No. 34 shooting guard and No. 119 player overall in the class of 2016 by ProspectsNation.com. Gribble said a combination of both athletics and academics factored into her decision to flip her commitment to Pitt, but the location didn’t hurt either. Gribble started playing basketball in second grade, but didn’t realize she had the potential to play collegiately until several years later. “In eighth grade, I realized I had a chance to play at a higher level and that really just motivated me to work harder to make it,” Gribble said. Gribble’s father, Dan, remembers his daughter being a score-first player from the very beginning. Before she arrived at Norwin, Gribble set a goal for herself to break the school record of 1,262 points, set by Heather Carrick in 1989. And, with four 3-pointers in the first quarter of Norwin’s 2015-16 season opener, Gribble achieved the goal she set in eighth grade in the first game of her senior season. Breaking the scoring record was the culmination of a storied high school career that included a plethora of other honors, such as being named to the 2015 Post-Gazette Fabulous Five as well as 2015 Post-Gazette Player of the Year and 2015 Daily News Girls Athlete of the Year. During his time coaching Gribble at Norwin, Brozeski watched her grow from an offensive powerhouse into a more dynamic threat at all ends of the court. Gribble’s decorated high school career didn’t happen overnight –– it was the result of an elite player dedicating herself to achieving her full potential. Gribble’s work ethic extends beyond the court. She maintained a 3.9 GPA in high school and plans to pursue exercise science at Pitt. Looking into the future, Gribble hopes to attend graduate school to become either a physical therapist or a physician’s assistant after her time at Pitt. Though she admits she would love to add another scoring record to her resumé when her time at Pitt is up, the goal-oriented Gribble has two main focuses for her first year at Pitt –– making the ACC All-Freshman team and the All-ACC Academic team. But Gribble knows the game she so effortlessly dominated at Norwin might not come to her as easily at the next level. Constantly trying to improve, she wants to focus on becoming a better defender and more consistent offensively at Pitt. If anything, playing her home games on a court she has already celebrated on twice might make Gribble’s transition a little smoother than most.